Thank you for contacting our firm regarding your student loans. To get scheduled for a free initial phone consultation, we request that you first complete this questionnaire and then call in to schedule. Please copy and paste the below questions into the body of an email and provide your answers in either a DIFFERENT COLOR or BOLDED. Send your email to: Info@wadebtlaw.com and call 206-535-2559 to schedule. 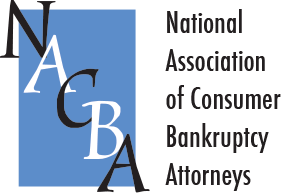 6: Have you ever filed for bankruptcy? If yes, when? 7: Do you have any assets (home, accounts, etc.) with an aggregate for $10,000.00 or more equity/value? 8:What is your current profession, gross annual salary and if married your family gross annual income? Instructions: For each college, university, or trade school attended, complete the below. If you are not sure of your estimated loans, it is OK to put don’t know or DK. Instructions: Go to https://www.nslds.ed.gov to look up your federal loans. If possible, print and attach to your returned questionnaire form or email. If you can’t print/attach, just note the total owed. Instructions: There is no database for this information. We recommend that you pull your credit report and review any statements that you have. Estimating is fine. DO NOT attach your credit report in responding. 22: Are you in any program the private loan servicer offers or in forbearance with the servicer? 25: Please indicate all that might apply. It is OK to mark something even if you are not sure it would apply. Highlight, bold, underline, list, or show which apply in your response. 26: The attorney will likely discuss or hit on all of these at some point, however, please indicate which solutions/defenses that you believe apply or that you would like emphasized during your consultation. Highlight, bold, underline, or indicate by number which solutions and defenses you would like to discuss. ANYTHING ELSE THAT YOU WOULD LIKE US TO KNOW THAT WOULD HELP US TO HELP YOU?